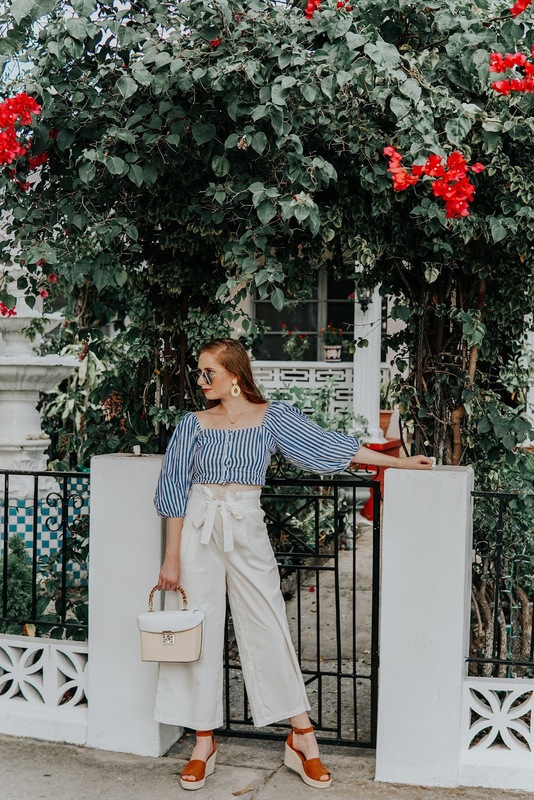 She told me the only way I could wear such a dramatic pair of pants would be to pair them with heels or wedges to add some height. 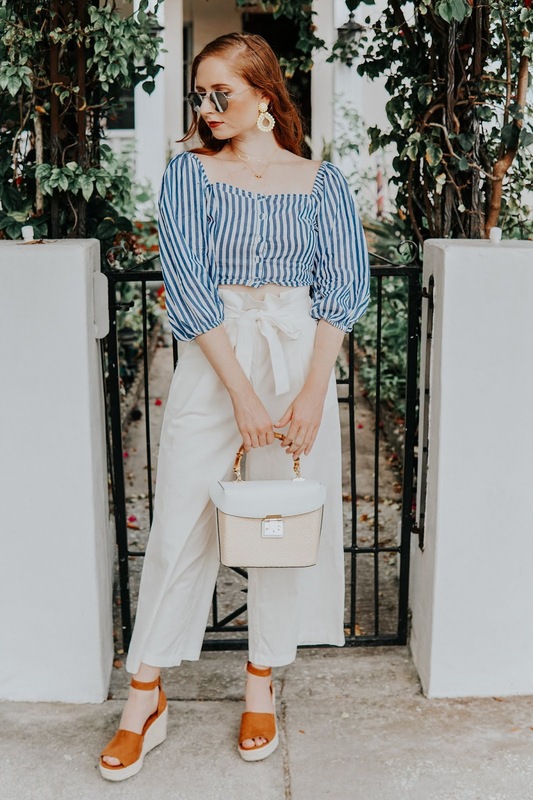 Well, I bought the $30 pants and chose to put on my trusted Target espadrille wedges for this chic summertime look! 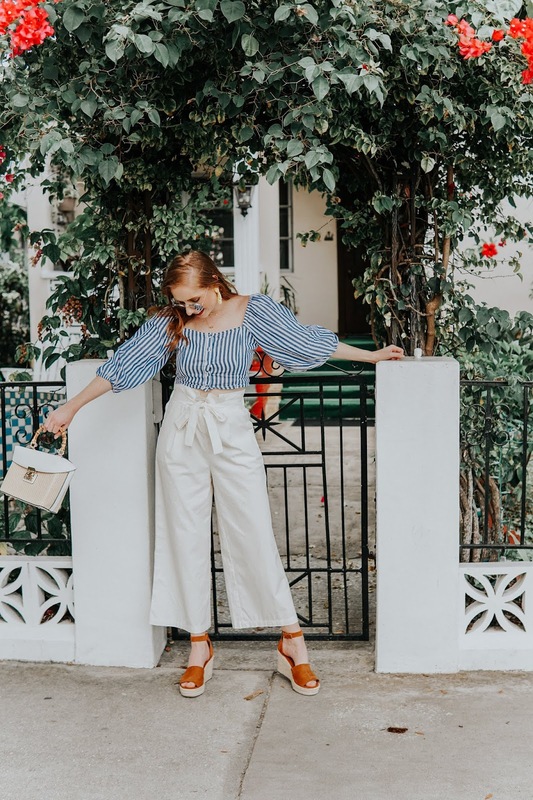 I think these cream-colored wide-leg pants look absolutely adorable with some extra height, so thankfully I wore my espadrilles out for the day. The tie-waist bow feature also accentuates your waist in the perfect way. I totally felt like I should be wearing this exact outfit somewhere in Italy! 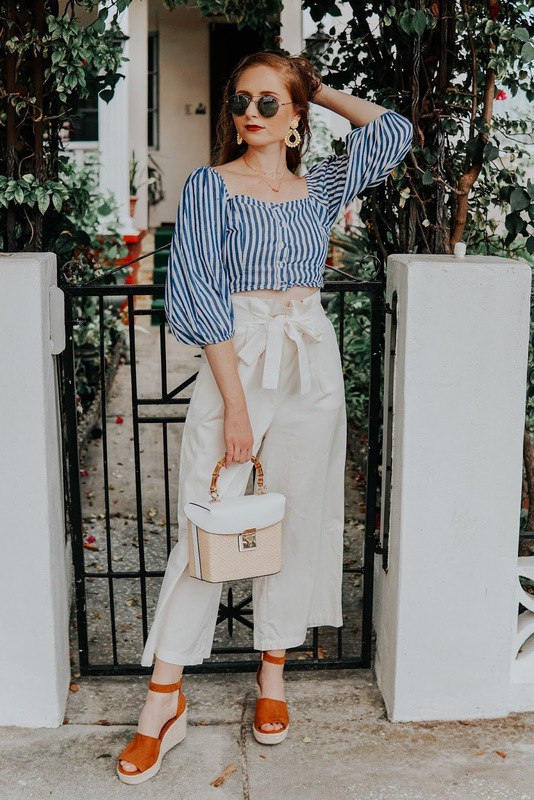 The stripe crop top gives me such amazing Positano vibes and one day I'll pack this look to wear again in Europe...until then I'll have to continue to pull these wide-leg trousers out in St. Pete!